Democracy is embedded at our school. Through our collective worship programme, pupils are taught to listen carefully and with concern for each other, respecting the right of every individual to have their opinions and voices heard whether they are members of our own school community or not. Our pupils are taught the value of respecting themselves and others around them not only through collective worship but also during class circle time. 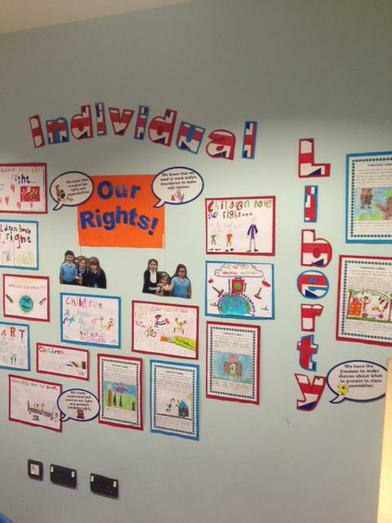 Pupils also have the opportunity to air their opinions and ideas through our Primary Sheriffs. The members of the Primary Sheriffs are invited to apply for the role that has success criteria for choosing the successful candidates. Pupil questionnaires and Snack and Chat interviews are another way of ensuring the pupils have a voice. Our behaviour policy involves both rewards and sanctions; pupils are clear about the expectations at here hence the positive opinions of visitors to the school. Golden time is a weekly reward for pupils and they are actively involved in deciding how they will spend their golden time with age appropriate activities. 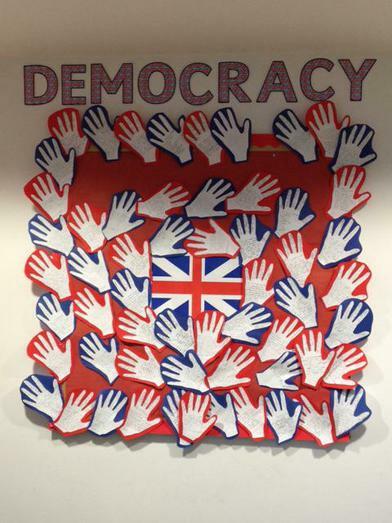 We always seek, wherever possible, to offer opportunities to ensure our pupils can participate in a democratic process. The importance of laws, whether they are those that govern the class, the school or the country, is consistently reinforced through our curriculum, behaviour system and during collective worship. 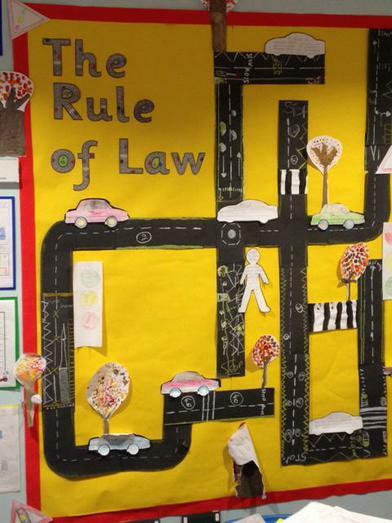 Each class discuss the school rules to ensure they are clearly understood by all, this ensures that every pupil is able to learn in a safe environment and adhere to either whole school rules or certain rules bespoke to their class. We expect pupils to behave impeccably when they are on trips outside of school and feedback often suggests that this is the case. Pupils are taught, through our behaviour system, what happens if they break the rules and that the wrong choices have consequences. Visits from authorities such as the Police and Fire Service are regular parts of our curriculum and help reinforce that laws of the land are in place to protect us. Quite often children from our school attend the local Oakham Castle where they are able to be knighted if they successfully complete and adhere to the Knights code. how to exercise these safely; examples of this can be clearly seen in our teaching of e-safety and collective worship lessons. Whether it is through the curriculum or through participation in our numerous extra-curricular activities, our pupils are given the freedom to make choices. Pupils are also given the opportunity to be engaged in their learning through the use of personal negotiated targets and self-assessment of their work. Respect is evident at our school and can be seen in lessons in every classroom and around the school. Pupils are taught our virtues/values of love, hope, faith, reverence, reflection and compassion through religious education, collective worship and school rules. Additional support is provided for individual pupils, through our caring and nurturing ethos. The support helps to develop self-esteem and to give pupils strategies to help improve their respect of themselves and others. The value of Respect along with those written above underpins our work every day both in and out of the classroom. 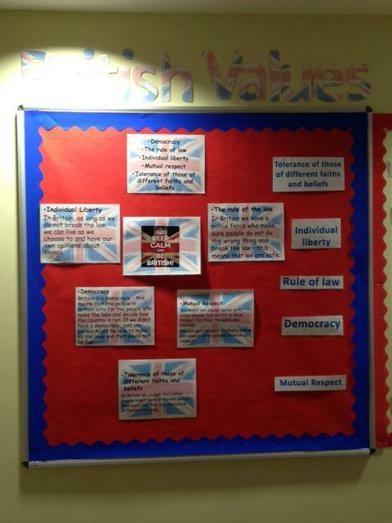 Our virtues/values and respect ensures tolerance of those who have different faiths and beliefs. 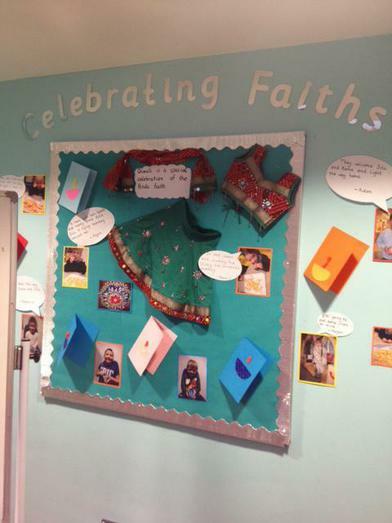 Oakham CofE Primary and The Parks enhances pupils understanding of different faiths and beliefs through collective worship, a broad approach to religious education; P.S.H.E. work and curriculum enhancements such as African Dancing and Drumming workshops. Through the termly topics pupils participate in celebrations such as Diwali and Chinese New Year, and enjoy a depth of study covering History and Geography topics. Through our religious education curriculum, in key stage two we organise inter faith visits to places of worship of other faiths. Oakham CofE Primary School and The Parks participates in various sporting events across Rutland and pupils have the opportunity to take part in school activities such as Archery and Curling. Our pupils with special educational needs also participate in inclusive sporting events within our local community. We have whole school daily acts of worship where we share ideas, events, music and stories to promote the values expressed. All parents are actively encouraged to attend our weekly special assemblies where many rewards are given to the children. Headteacher Awards are presented to children who have shown extra excellence not only in school but where nominated from parents/carers.